Modern Warfare 2 just became the most successful entertainment release in history. It is charting somewhere north of $300 million in its first few days. 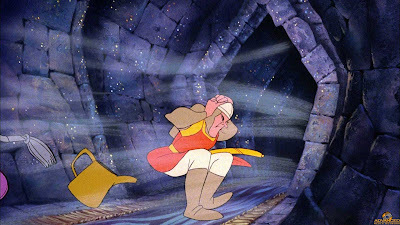 I just finished the short solo campaign and have come to the determination that it is much like the gameplay of Dragon's Lair. Move to the left you live, to the right, you die. Now, there's a lot more to the game; like the Special Ops portion and the online multiplayer, which is where the term "game" best fits. But the solo portion's mechanics, to which many are showering praise, is well trodden gaming territory. Turns out that Modern Warfare 2 solo part is very much less a game then a story... but a good one, one that takes some risks and is fun to take part in. Therein, me thinks, is why it is making all that green. Games may not be for everyone, like crossword puzzles or scrabble or Civilization IV, but an interactive movie? Apparently so. Up next for me is getting beat up by everyone online. AKA: The "game" portion. To give you an idea of how many people are playing this game... I'm ranked (after about 30 mins of playing) in the 3,000,000 territory. And that's just on the Xbox. O, Dragon's Lair, where would we be with out ya?